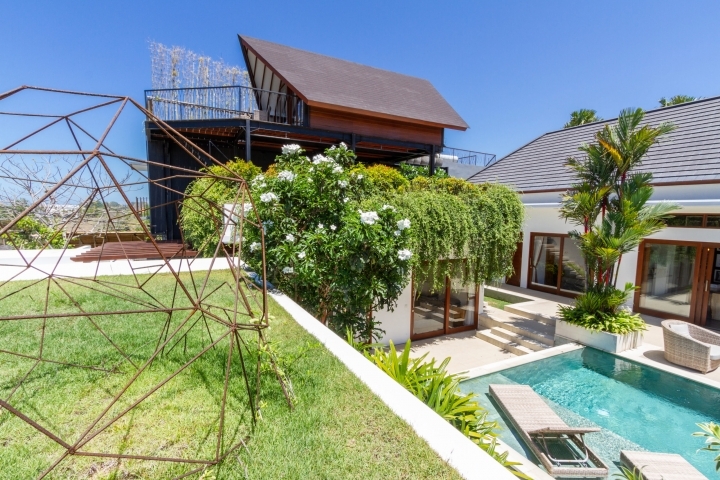 This villa is built at the end of 2015 and has perfect location in Berawa, one of the most exclusive residential areas in Bali. 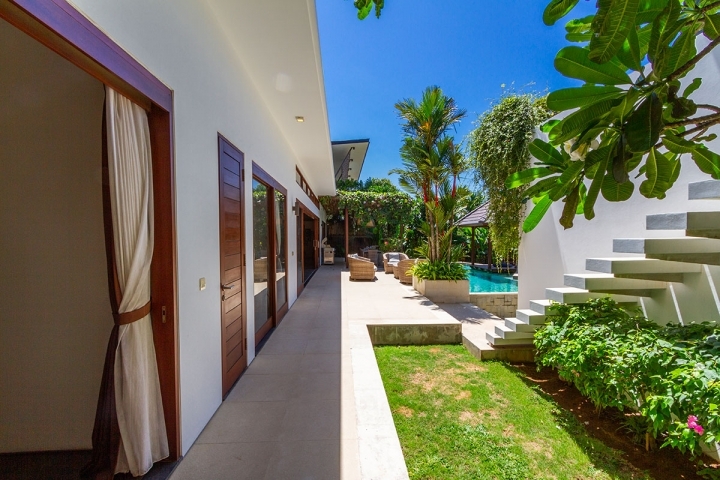 This villa is located only 2 minutes away from the Berawa beach, the Canggu Club and the International School. 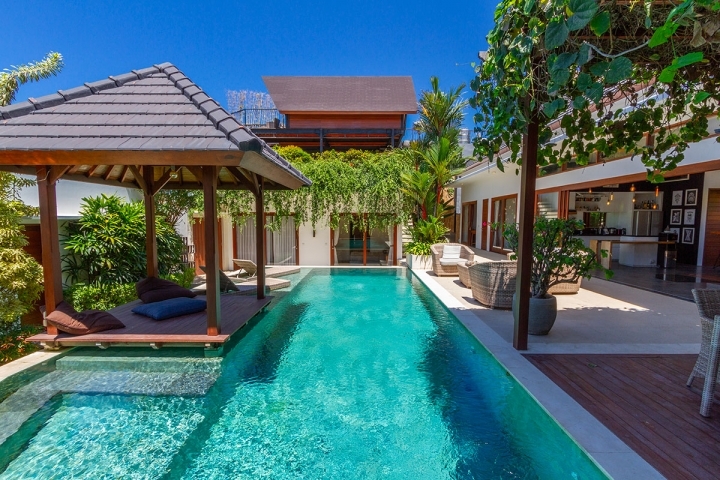 Seminyak is only 15 minutes away and to the airport it’s only 40 minutes drive away. 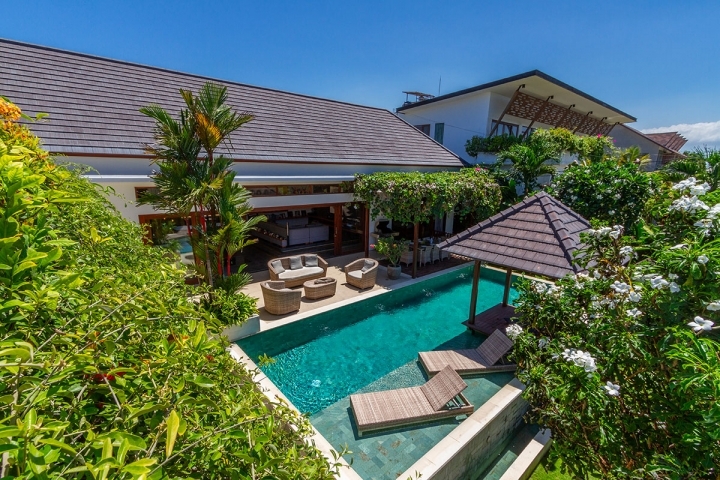 The villa is truly beautiful, it has a modern architecture and is very functional. 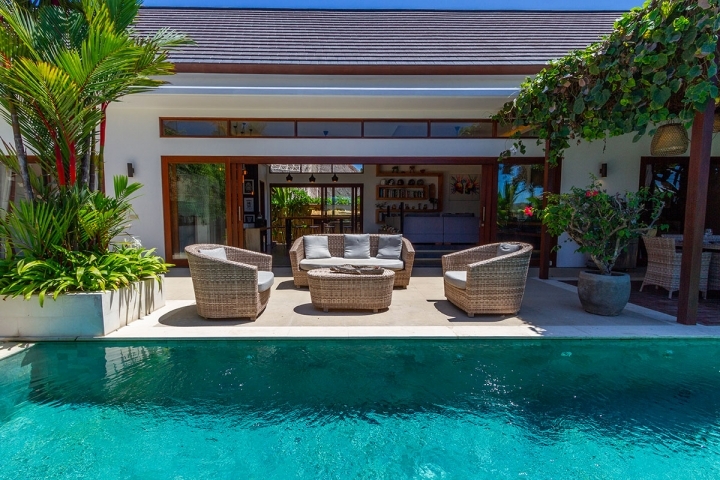 There are 3 bedrooms and 3 bathrooms. 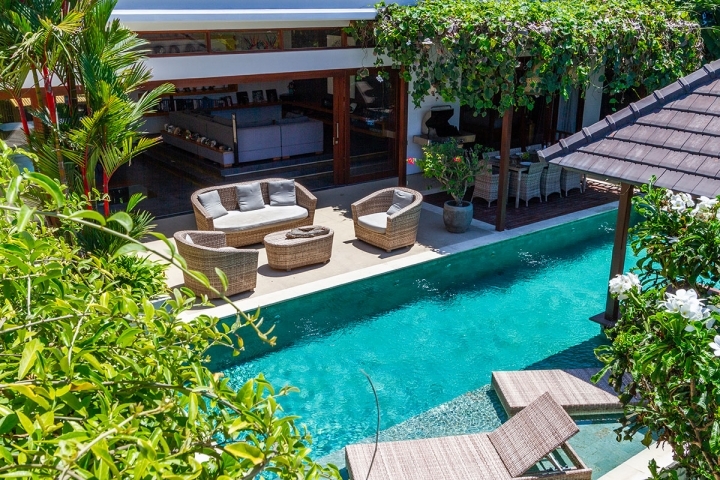 Beautiful terrace on the second floor. 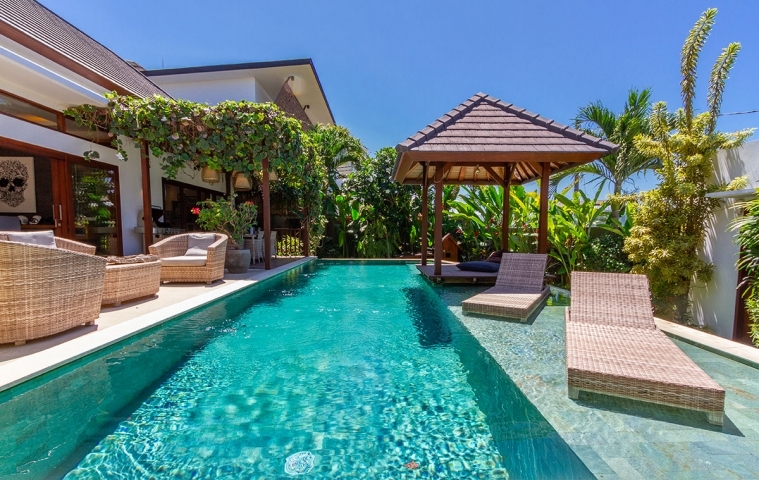 Swimming pool is 18 m2. 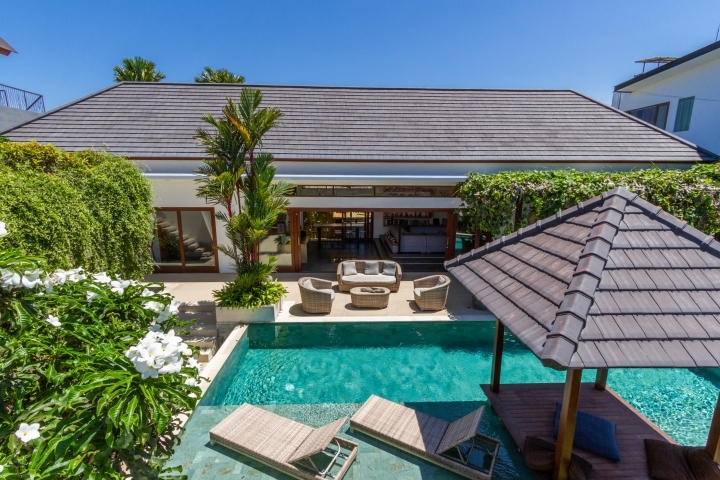 The villa comes furnished, with great access and one parking space.